IT'S SPRING! We're so happy to invite Carmen back to give us another Warehouse Talk about "CONTAINER GARDENING FOR SMALL SPACE GROWING"! Not everyone has a personal plot of land on which to grow their vegetables. In fact, growing in containers, whether that's on your balcony, patio or outside your front door, is rapidly gaining popularity as a way for urbanites to grow healthy food that's literally within reach! In order to successfully garden in containers, however, it's important to understand how to manage your soil and planting strategies to guarantee a good yield. In this talk we will explore various container options, which soil mixtures work (and which don't), various watering strategies that work well for container gardening and how to keep your plants happy and healthy! As always, all of our Warehouse Talks are FREE! Space is limited so please ! dedicated to helping emerging gardeners and permaculture enthusiasts gain the freedom, confidence and skills they need to live more abundant, sustainable and resilient lives. 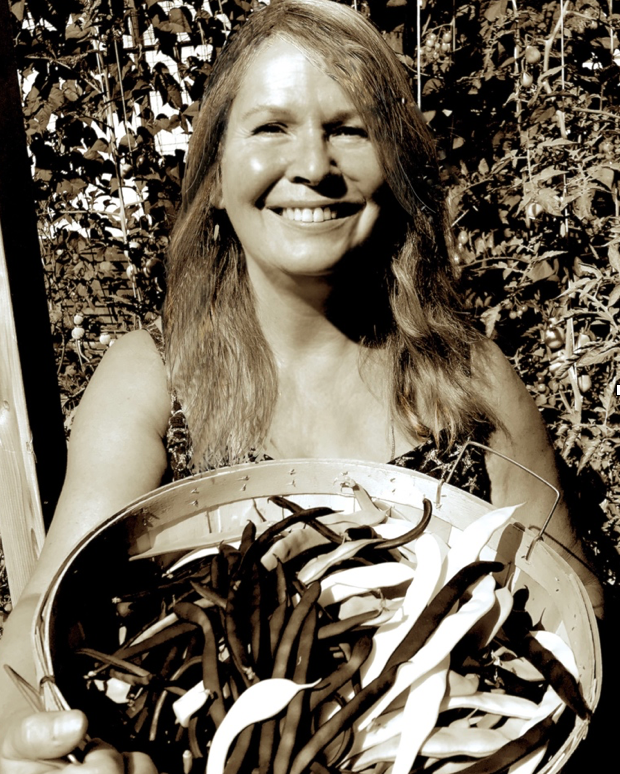 Having grown food organically for over 4 decades, Carmen is passionate about helping others cultivate great food, and in turn, great selves, as she believes this is “key to bringing each of us up to a level of responsible maturity and wisdom necessary for creating a more beautiful and sustainable world”. Through URBAN FARM SCHOOL, Carmen offers practical workshops and presentations to inspire conscious and creative solutions for sustainable local food production. A regular instructor for Lee Valley, Carmen is also a cohost and core instructor for the Permaculture Design Certification program offered through Verge Permaculture.